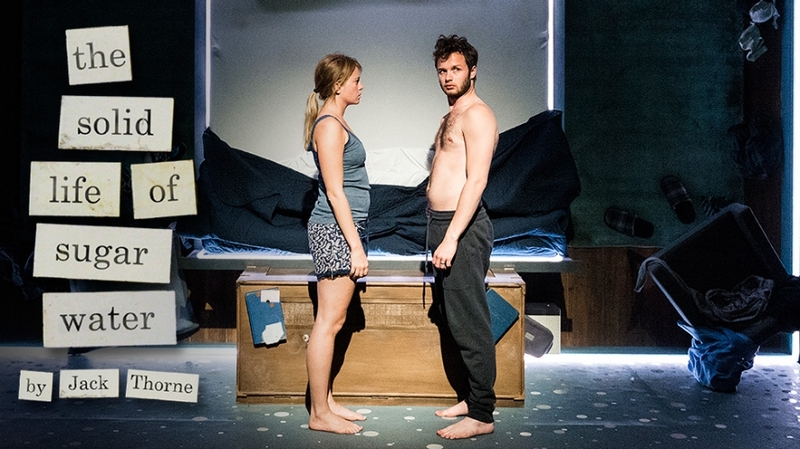 Jack Thorne’s The Solid Life of Sugar Water received unanimous acclaim from critics and audiences alike at the 2015 Edinburgh Festival Fringe, with The Times calling it “startlingly good”. Phil and Alice are in love. 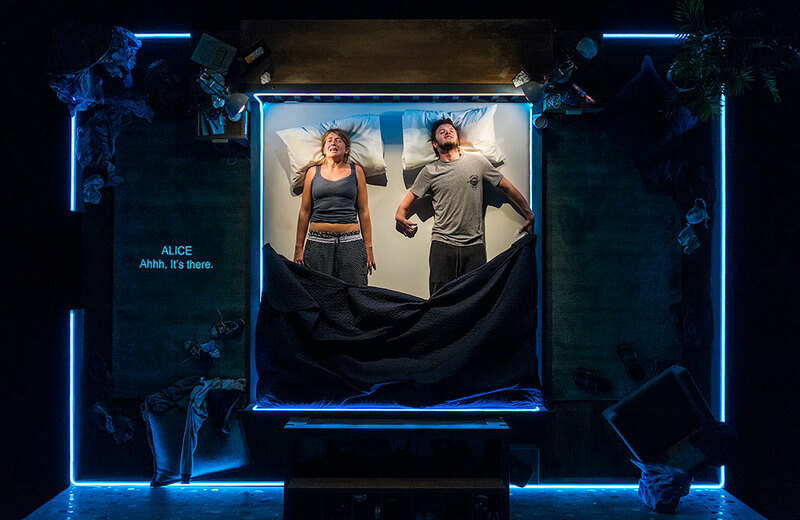 Phil and Alice are healing wounds. Phil and Alice are desperate to communicate. 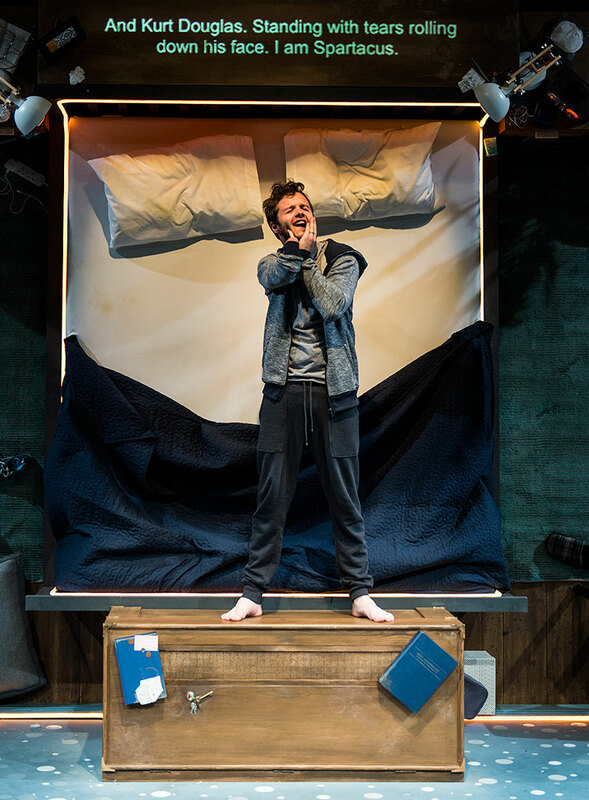 Candid, uninhibited and visceral, this new play from the award winning Jack Thorne is an intimate, tender portrait of loss, hurt and recovery. 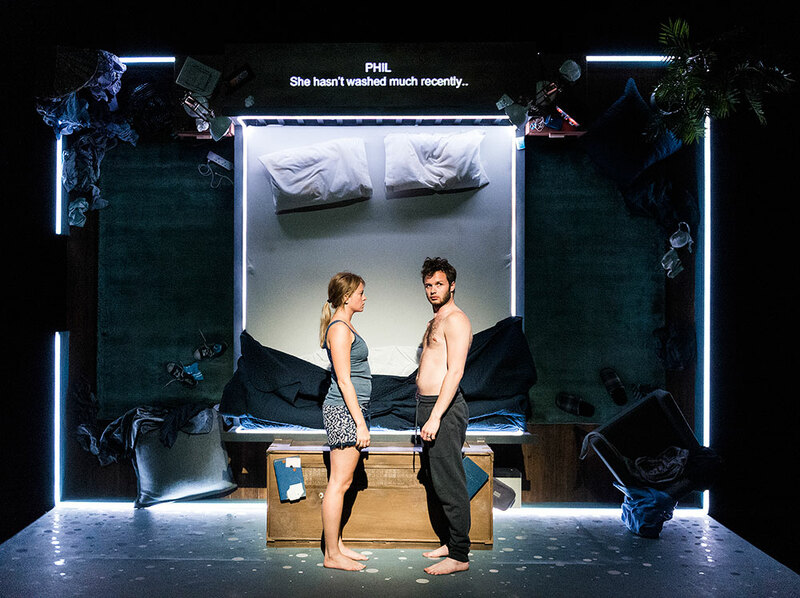 Jack Thorne’s previous credits include Let the Right One In and Hope for the stage, as well as television dramas Glue, Skins, Shameless and This is England. His new play, Harry Potter and the Cursed Child, will open in the West End in 2016. All performances include audio description and creative captioning. All shows will be captioned and audio described. 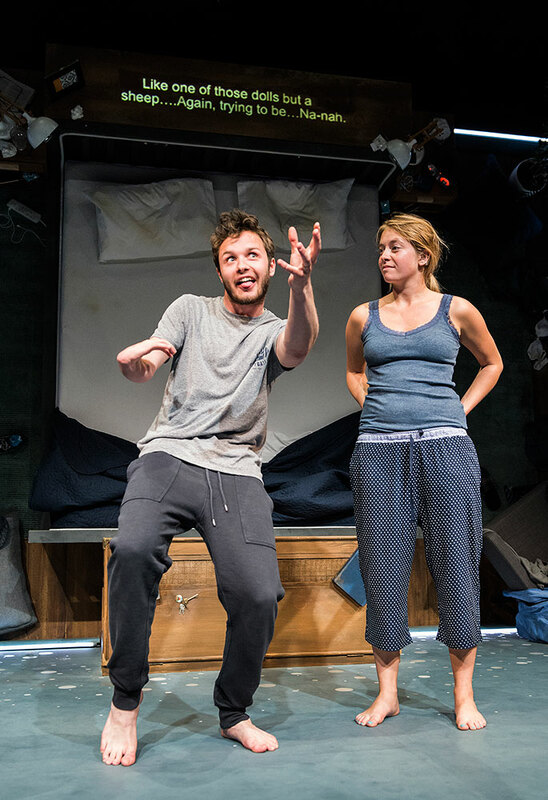 Sweet and funny moments abound in Jack Thorne’s script. 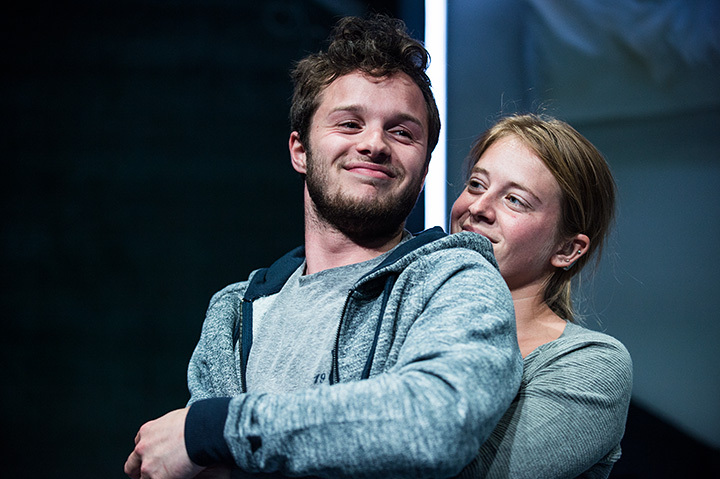 They are beautifully fielded by Genevieve Barr (Alice) and Arthur Hughes (Phil) who present every stage of the couple’s relationship with warmth and disarming candour. The writing is visceral and precise. Funny, poignant, arresting…a complex emotional watch…heart-warming and heart-wrenching. 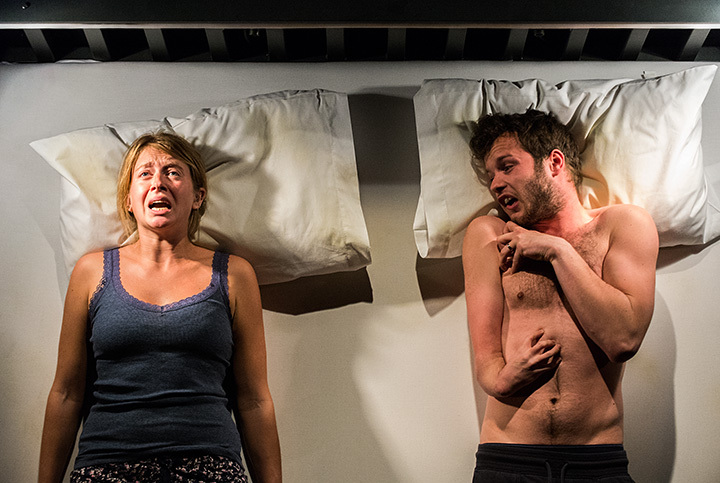 A deeply affecting production…a profoundly moving play. 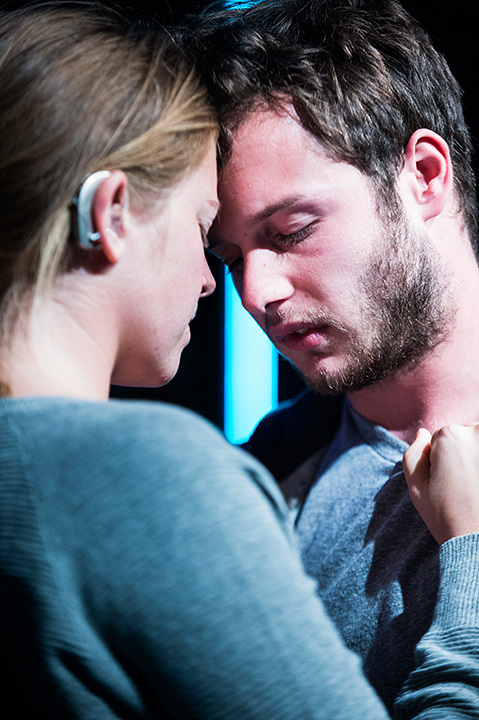 Excellent, sensitive performances in a “stunning” new play. 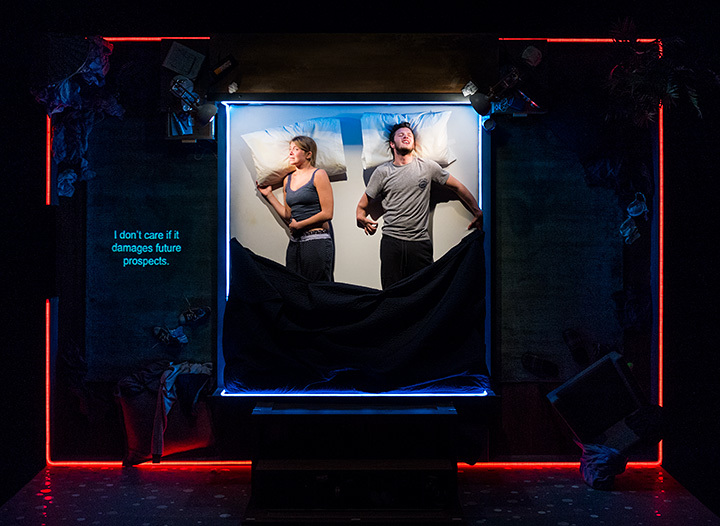 Foremost a touching and believable love story…with strong performances from [Genevieve] Barr and [Arthur] Hughes, this redemptive, moving story is brought to life. It’s the writing that hits you squarely in the gut – it has a real sense of precision and meter, the tone sometimes funny, sometimes filthy, sometimes hopeful, sometimes utterly devastating…Amit Sharma’s production is not always an easy watch, it’s often upsetting and wrenching, but it’s funny too and done with sensitivity and intelligence. Beautifully acted, stunningly designed and a show that really makes you think. This is the type of frank, shocking theatre that will follow you home; sitting on your shoulder and in the back of your mind for days. Back to What's On Next Production: BSO 2016: Plymouth Ho!